Welcome to Paratime Design's home page. 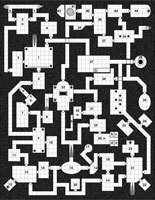 This site is dedicated to old school RPGs maps drawn by Tim Hartin. 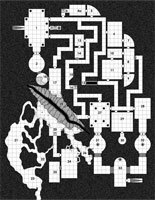 Paratime Design offers personal commissions, commercial maps for sale (see our RPGNow store), and 250+ map freebies (as either image files or as PDFs) with more being added all the time. Please note that the Store link in the menu will open a new page and take you off-site to the official Paratime Design store at DriveThruRPG.com. Every Friday, a new Creative Commons licensed map will be release (there will be the odd exception now and then). See the Friday Freebie Maps for the latest freebie maps. Some of these maps will receive an Enhanced option. Friday Enhanced Map products contain a multi-layered PDF (allowing the options of white or black backgrounds, numbered or non-numbered areas, and secret doors on or off) and a zip file with all relevant map files as individual jpg images. 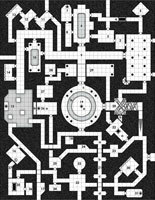 • April 19, 2019 - Paratime Design presents April 19, 2019 Friday Enhanced Map PDF for $1.00 (US)! • April 12, 2019 - Paratime Design presents April 12, 2019 Friday Enhanced Map PDF for $1.00 (US)! The April 12, 2019 Friday Enhanced Map product contains a multi-layered PDF (allowing the options of white or black backgrounds, numbered or non-numbered areas, and secret doors on or off) and a zip file with all relevant map files as individual jpg images. • April 5, 2019 - Paratime Design presents April 5, 2019 Friday Enhanced Map PDF for $1.00 (US)! The April 5, 2019 Friday Enhanced Map product contains a multi-layered PDF (allowing the options of white or black backgrounds, numbered or non-numbered areas, and secret doors on or off) and a zip file with all relevant map files as individual jpg images. • March 29, 2019 - Paratime Design presents March 29, 2019 Friday Enhanced Map PDF for $1.00 (US)! The March 29, 2019 Friday Enhanced Map product contains a multi-layered PDF (allowing the options of white or black backgrounds, numbered or non-numbered areas, and secret doors on or off) and a zip file with all relevant map files as individual jpg images. • March 22, 2019 - Paratime Design presents March 22, 2019 Friday Enhanced Map PDF for $1.00 (US)! The March 22, 2019 Friday Enhanced Map product contains a multi-layered PDF (allowing the options of white or black backgrounds, numbered or non-numbered areas, and secret doors on or off) and a zip file with all relevant map files as individual jpg images. • March 15, 2019 - Paratime Design presents March 15, 2019 Friday Enhanced Map PDF for $1.00 (US)! The March 15, 2019 Friday Enhanced Map product contains a multi-layered PDF (allowing the options of white or black backgrounds, numbered or non-numbered areas, and secret doors on or off) and a zip file with all relevant map files as individual jpg images. • March 8, 2019 - Paratime Design presents March 8, 2019 Friday Enhanced Map PDF for $1.00 (US)! The March 8, 2019 Friday Enhanced Map product contains a multi-layered PDF (allowing the options of white or black backgrounds, numbered or non-numbered areas, and secret doors on or off) and a zip file with all relevant map files as individual jpg images. • March 1, 2019 - Paratime Design presents March 1, 2019 Friday Enhanced Map PDF for $1.00 (US)! The March 1, 2019 Friday Enhanced Map product contains a multi-layered PDF (allowing the options of white or black backgrounds, numbered or non-numbered areas, and secret doors on or off) and a zip file with all relevant map files as individual jpg images. 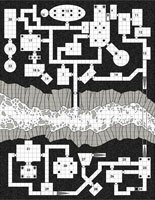 • February 22, 2019 - Paratime Design presents February 22, 2019 Friday Enhanced Map PDF for $1.00 (US)! The February 22, 2019 Friday Enhanced Map product contains a multi-layered PDF (allowing the options of white or black backgrounds, numbered or non-numbered areas, and secret doors on or off) and a zip file with all relevant map files as individual jpg images. 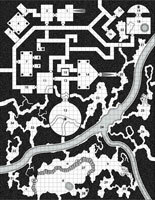 • February 15, 2019 - Paratime Design presents February 15, 2019 Friday Enhanced Map PDF for $1.00 (US)! The February 15, 2019 Friday Enhanced Map product contains a multi-layered PDF (allowing the options of grey or black walls, numbered or non-numbered areas, and secret doors on or off) and a zip file with all relevant map files as individual jpg images. • February 8, 2019 - Paratime Design presents February 8, 2019 Friday Enhanced Map PDF for $1.00 (US)! The February 8, 2019 Friday Enhanced Map product contains a multi-layered PDF (allowing the options of grey or black walls, numbered or non-numbered areas, and secret doors on or off) and a zip file with all relevant map files as individual jpg images. • February 1, 2019 - Paratime Design presents February 1, 2019 Friday Enhanced Map PDF for $1.00 (US)! The February 1, 2019 Friday Enhanced Map product contains a multi-layered PDF (allowing the options of white or black backgrounds, numbered or non-numbered areas, and secret doors on or off) and a zip file with all relevant map files as individual jpg images. 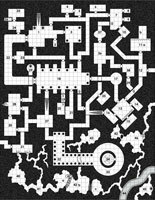 • January 25, 2019 - Paratime Design presents January 25, 2019 Friday Enhanced Map PDF for $1.00 (US)! The January 25, 2019 Friday Enhanced Map product contains a multi-layered PDF (allowing the options of white or black backgrounds, numbered or non-numbered areas, and concealed doors on or off) and a zip file with all relevant map files as individual jpg images. • January 18, 2019 - Paratime Design presents January 18, 2019 Friday Enhanced Map PDF for $1.00 (US)! The January 18, 2019 Friday Enhanced Map product contains a multi-layered PDF (allowing the options of white or black backgrounds, numbered or non-numbered areas, and secret doors on or off) and a zip file with all relevant map files as individual jpg images. • January 11, 2019 - Paratime Design presents January 11, 2019 Friday Enhanced Map PDF for $1.00 (US)! The January 11, 2019 Friday Enhanced Map product contains a multi-layered PDF (allowing the options of white or black backgrounds, numbered or non-numbered areas, and secret doors on or off) and a zip file with all relevant map files as individual jpg images. • January 4, 2019 - Paratime Design presents January 4, 2019 Friday Enhanced Map PDF for $1.00 (US)! The January 4, 2019 Friday Enhanced Map product contains a multi-layered PDF (allowing the options of white or black backgrounds, numbered or non-numbered areas, and secret doors on or off) and a zip file with all relevant map files as individual jpg images. 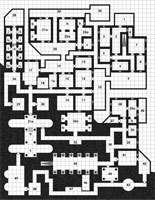 • December 28, 2018 - Paratime Design presents December 28, 2018 Friday Enhanced Map PDF for $1.00 (US)! The December 28, 2018 Friday Enhanced Map product contains a multi-layered PDF (allowing the options of white or black backgrounds, numbered or non-numbered areas, and secret doors on or off) and a zip file with all relevant map files as individual jpg images. 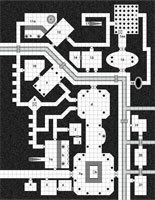 • December 21, 2018 - Paratime Design presents December 21, 2018 Friday Enhanced Map PDF for $1.00 (US)! The December 21, 2018 Friday Enhanced Map product contains a multi-layered PDF (allowing the options of grey or black walls, numbered or non-numbered areas, and secret doors on or off) and a zip file with all relevant map files as individual jpg images. 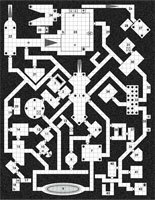 • December 14, 2018 - Paratime Design presents December 14, 2018 Friday Enhanced Map PDF for $1.00 (US)! The December 14, 2018 Friday Enhanced Map product contains a multi-layered PDF (allowing the options of white or black backgrounds, numbered or non-numbered areas, and secret doors on or off) and a zip file with all relevant map files as individual jpg images. 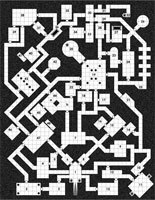 • December 7, 2018 - Paratime Design presents December 7, 2018 Friday Enhanced Map PDF for $1.00 (US)! The December 7, 2018 Friday Enhanced Map product contains a multi-layered PDF (allowing the options of white or black backgrounds, numbered or non-numbered areas, and secret doors on or off) and a zip file with all relevant map files as individual jpg images. 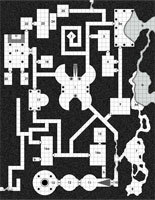 • November 30, 2018 - Paratime Design presents November 23, 2018 Friday Enhanced Map PDF for $1.00 (US)! The November 30, 2018 Friday Enhanced Map product contains a multi-layered PDF (allowing the options of white or black backgrounds, numbered or non-numbered areas, and secret doors on or off) and a zip file with all relevant map files as individual jpg images. 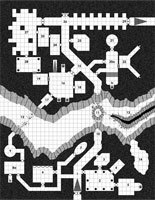 • November 23, 2018 - Paratime Design presents November 23, 2018 Friday Enhanced Map PDF for $1.00 (US)! The November 23, 2018 Friday Enhanced Map product contains a multi-layered PDF (allowing the options of white or black backgrounds, numbered or non-numbered areas, and secret doors on or off) and a zip file with all relevant map files as individual jpg images. 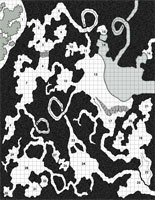 • November 16, 2018 - Paratime Design presents November 16, 2018 Friday Enhanced Map PDF for $1.00 (US)! The November 16, 2018 Friday Enhanced Map product contains a multi-layered PDF (allowing the options of white or black backgrounds, numbered or non-numbered areas, and secret doors on or off) and a zip file with all relevant map files as individual jpg images. 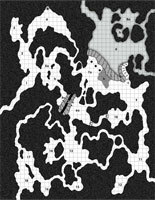 • November 9, 2018 - Paratime Design presents November 9, 2018 Friday Enhanced Map PDF for $1.00 (US)! The November 9, 2018 Friday Enhanced Map product contains a multi-layered PDF (allowing the options of white or black backgrounds, numbered or non-numbered areas, and secret doors on or off) and a zip file with all relevant map files as individual jpg images. 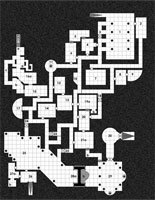 • November 2, 2018 - Paratime Design presents November 2, 2018 Friday Enhanced Map PDF for $1.00 (US)! The November 2, 2018 Friday Enhanced Map product contains a multi-layered PDF (allowing the options of white or black backgrounds, numbered or non-numbered areas, and secret doors on or off) and a zip file with all relevant map files as individual jpg images. 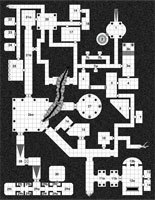 • October 26, 2018 - Paratime Design presents October 26, 2018 Friday Enhanced Map PDF for $1.00 (US)! The October 26, 2018 Friday Enhanced Map product contains a multi-layered PDF (allowing the options of white or black backgrounds, numbered or non-numbered areas, and secret doors on or off) and a zip file with all relevant map files as individual jpg images. 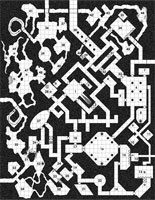 • October 19, 2018 - Paratime Design presents October 19, 2018 Friday Enhanced Map PDF for $1.00 (US)! The October 19, 2018 Friday Enhanced Map product contains a multi-layered PDF (allowing the options of white or black backgrounds, numbered or non-numbered areas, and secret doors on or off) and a zip file with all relevant map files as individual jpg images. 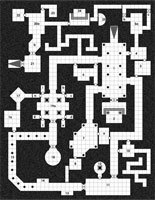 • October 12, 2018 - Paratime Design presents October 12, 2018 Friday Enhanced Map PDF for $1.00 (US)! The October 12, 2018 Friday Enhanced Map product contains a multi-layered PDF (allowing the options of white or black backgrounds, numbered or non-numbered areas, and secret doors on or off) and a zip file with all relevant map files as individual jpg images. 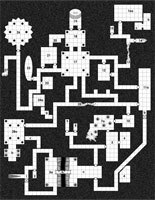 • October 5, 2018 - Paratime Design presents October 5, 2018 Friday Enhanced Map PDF for $1.00 (US)! The October 5, 2018 Friday Enhanced Map product contains a multi-layered PDF (allowing the options of white or black backgrounds, numbered or non-numbered areas, and secret doors on or off) and a zip file with all relevant map files as individual jpg images. 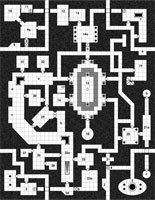 • September 28, 2018 - Paratime Design presents September 28, 2018 Friday Enhanced Map PDF for $1.00 (US)! The September 28, 2018 Friday Enhanced Map product contains a multi-layered PDF (allowing the options of white or black backgrounds, numbered or non-numbered areas, and secret doors on or off) and a zip file with all relevant map files as individual jpg images. 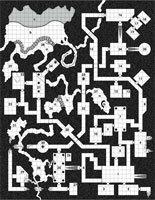 • September 21, 2018 - Paratime Design presents September 21, 2018 Friday Enhanced Map PDF for $1.00 (US)! The September 21, 2018 Friday Enhanced Map product contains a multi-layered PDF (allowing the options of white or black backgrounds, numbered or non-numbered areas, and secret doors on or off) and a zip file with all relevant map files as individual jpg images. 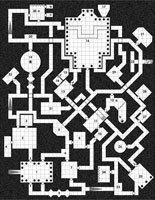 • September 14, 2018 - Paratime Design presents September 14, 2018 Friday Enhanced Map PDF for $1.00 (US)! The September 14, 2018 Friday Enhanced Map product contains a multi-layered PDF (allowing the options of grey or black walls, numbered or non-numbered areas, and secret doors on or off) and a zip file with all relevant map files as individual jpg images. 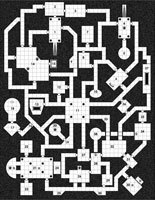 • September 7, 2018 - Paratime Design presents September 7, 2018 Friday Enhanced Map PDF for $1.00 (US)! The September 7, 2018 Friday Enhanced Map product contains a multi-layered PDF (allowing the options of white or black backgrounds, numbered or non-numbered areas, and secret doors on or off) and a zip file with all relevant map files as individual jpg images. 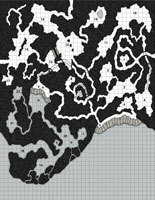 • August 31, 2018 - Paratime Design presents August 31, 2018 Friday Enhanced Map PDF for $1.00 (US)! The August 31, 2018 Friday Enhanced Map product contains a multi-layered PDF (allowing the options of white or black backgrounds, numbered or non-numbered areas, and secret doors on or off) and a zip file with all relevant map files as individual jpg images. 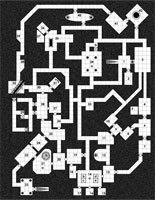 • August 24, 2018 - Paratime Design presents August 24, 2018 Friday Enhanced Map PDF for $1.00 (US)! The August 24, 2018 Friday Enhanced Map product contains a multi-layered PDF (allowing the options of white or black backgrounds, numbered or non-numbered areas, and secret doors on or off) and a zip file with all relevant map files as individual jpg images. 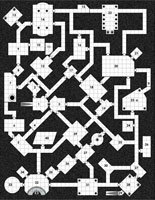 • August 17, 2018 - Paratime Design presents August 17, 2018 Friday Enhanced Map PDF for $1.00 (US)! The August 17, 2018 Friday Enhanced Map product contains a multi-layered PDF (allowing the options of white or black backgrounds, numbered or non-numbered areas, and secret doors on or off) and a zip file with all relevant map files as individual jpg images. 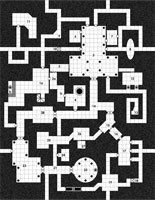 • August 10, 2018 - Paratime Design presents August 10, 2018 Friday Enhanced Map PDF for $1.00 (US)! The August 10, 2018 Friday Enhanced Map product contains a multi-layered PDF (allowing the options of white or black backgrounds, numbered or non-numbered areas, and secret doors on or off) and a zip file with all relevant map files as individual jpg images. • August 3, 2018 - Paratime Design presents August 3, 2018 Friday Enhanced Map PDF for $1.00 (US)! The August 3, 2018 Friday Enhanced Map product contains a multi-layered PDF (allowing the options of white or black backgrounds, numbered or non-numbered areas, and secret doors on or off) and a zip file with all relevant map files as individual jpg images. • July 27, 2018 - Paratime Design presents July 27, 2018 Friday Enhanced Map PDF for $1.00 (US)! The July 27, 2018 Friday Enhanced Map product contains a multi-layered PDF (allowing the options of white or black backgrounds, numbered or non-numbered areas, and secret doors on or off) and a zip file with all relevant map files as individual jpg images. • July 20, 2018 - Paratime Design presents July 20, 2018 Friday Enhanced Map PDF for $1.00 (US)! The July 20, 2018 Friday Enhanced Map product contains a multi-layered PDF (allowing the options of white or black backgrounds, numbered or non-numbered areas, and secret doors on or off) and a zip file with all relevant map files as individual jpg images. • July 14, 2018 - Paratime Design presents DriveThruRPG Map Bundle - The Keep. That's five maps for $4.00 (US)! This bundle consists of five Friday Enhanced maps that form a keep (with building levels and the appropriate dungeon levels). The maps included are from June 15th, 22nd, 29th, July 6th, and 13th 2018. • July 13, 2018 - Paratime Design presents July 13, 2018 Friday Enhanced Map PDF for $1.00 (US)! The July 13, 2018 Friday Enhanced Map product contains a multi-layered PDF (allowing the options of white or black backgrounds, numbered or non-numbered areas, and secret doors on or off) and a zip file with all relevant map files as individual jpg images. • July 6, 2018 - Paratime Design presents July 6, 2018 Friday Enhanced Map PDF for $1.00 (US)! The July 6, 2018 Friday Enhanced Map product contains a multi-layered PDF (allowing the options of white or black backgrounds, numbered or non-numbered areas, and secret doors on or off) and a zip file with all relevant map files as individual jpg images. • June 29, 2018 - Paratime Design presents June 29, 2018 Friday Enhanced Map PDF for $1.00 (US)! The June 29, 2018 Friday Enhanced Map product contains a multi-layered PDF (allowing the options of grey or black walls, numbered or non-numbered areas, and secret doors on or off) and a zip file with all relevant map files as individual jpg images. 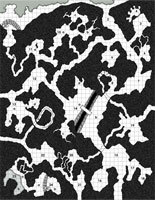 • June 28, 2018 - Paratime Design presents DriveThruRPG Map Bundle - The Caves. That's six maps for $5.00 (US)! 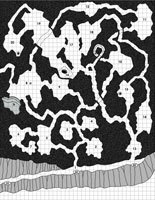 This bundle consists of six Friday Enhanced maps that form a larger cave complex. The maps included are from the month of May (2018) and June 1st and 8th 2018. • June 22, 2018 - Paratime Design presents June 22, 2018 Friday Enhanced Map PDF for $1.00 (US)! The June 22, 2018 Friday Enhanced Map product contains a multi-layered PDF (allowing the options of grey or black walls, numbered or non-numbered areas, and secret doors on or off) and a zip file with all relevant map files as individual jpg images. • June 15, 2018 - Paratime Design presents June 15, 2018 Friday Enhanced Map PDF for $1.00 (US)! The June 15, 2018 Friday Enhanced Map product contains a multi-layered PDF (allowing the options of grey or black walls, numbered or non-numbered areas, and secret doors on or off) and a zip file with all relevant map files as individual jpg images. • June 8, 2018 - Paratime Design presents June 8, 2018 Friday Enhanced Map PDF for $1.00 (US)! The June 8, 2018 Friday Enhanced Map product contains a multi-layered PDF (allowing the options of white or black backgrounds, numbered or non-numbered areas, and secret doors on or off) and a zip file with all relevant map files as individual jpg images. • June 1, 2018 - Paratime Design presents June 1, 2018 Friday Enhanced Map PDF for $1.00 (US)! The June 1, 2018 Friday Enhanced Map product contains a multi-layered PDF (allowing the options of white or black backgrounds, numbered or non-numbered areas, and secret doors on or off) and a zip file with all relevant map files as individual jpg images. • May 25, 2018 - Paratime Design presents May 25, 2018 Friday Enhanced Map PDF for $1.00 (US)! The May 25, 2018 Friday Enhanced Map product contains a multi-layered PDF (allowing the options of white or black backgrounds, numbered or non-numbered areas, and secret doors on or off) and a zip file with all relevant map files as individual jpg images. • May 18, 2018 - Paratime Design presents May 18, 2018 Friday Enhanced Map PDF for $1.00 (US)! The May 18, 2018 Friday Enhanced Map product contains a multi-layered PDF (allowing the options of white or black backgrounds, numbered or non-numbered areas, and secret doors on or off) and a zip file with all relevant map files as individual jpg images. • May 11, 2018 - Paratime Design presents May 11, 2018 Friday Enhanced Map PDF for $1.00 (US)! The May 11, 2018 Friday Enhanced Map product contains a multi-layered PDF (allowing the options of white or black backgrounds, numbered or non-numbered areas, and secret doors on or off) and a zip file with all relevant map files as individual jpg images. • May 4, 2018 - Paratime Design presents May 4, 2018 Friday Enhanced Map PDF for $1.00 (US)! The May 4, 2018 Friday Enhanced Map product contains a multi-layered PDF (allowing the options of white or black backgrounds, numbered or non-numbered areas, and secret doors on or off) and a zip file with all relevant map files as individual jpg images. 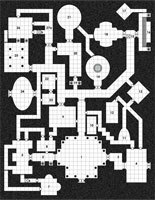 • April 27, 2018 - Paratime Design presents April 27, 2018 Friday Enhanced Map PDF for $1.00 (US)! The April 27, 2018 Friday Enhanced Map product contains a multi-layered PDF (allowing the options of white or black backgrounds, numbered or non-numbered areas, and secret doors on or off) and a zip file with all relevant map files as individual jpg images. 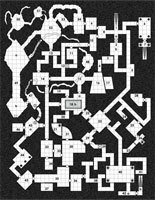 • April 20, 2018 - Paratime Design presents April 20, 2018 Friday Enhanced Map PDF for $1.00 (US)! The April 20, 2018 Friday Enhanced Map product contains a multi-layered PDF (allowing the options of white or black backgrounds, numbered or non-numbered areas, and secret doors on or off) and a zip file with all relevant map files as individual jpg images. 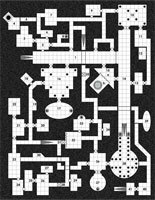 • April 13, 2018 - Paratime Design presents April 13, 2018 Friday Enhanced Map PDF for $1.00 (US)! The April 13, 2018 Friday Enhanced Map product contains a multi-layered PDF (allowing the options of grey or black backgrounds on the buildings, numbered or non-numbered areas, and secret doors on or off) and a zip file with all relevant map files as individual jpg images. • April 6, 2018 - Paratime Design presents April 6, 2018 Friday Enhanced Map PDF for $1.00 (US)! The April 6, 2018 Friday Enhanced Map product contains a multi-layered PDF (allowing the options of white or black backgrounds, numbered or non-numbered areas, and secret doors on or off) and a zip file with all relevant map files as individual jpg images. 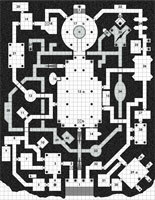 • March 30, 2018 - Paratime Design presents March 30, 2018 Friday Enhanced Map PDF for $1.00 (US)! The March 30, 2018 Friday Enhanced Map product contains a multi-layered PDF (allowing the options of white or black backgrounds, numbered or non-numbered areas, and secret doors on or off) and a zip file with all relevant map files as individual jpg images. 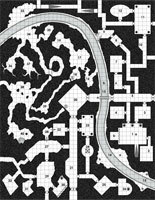 • March 23, 2018 - Paratime Design presents March 23, 2018 Friday Enhanced Map PDF for $1.00 (US)! The March 23, 2018 Friday Enhanced Map product contains a multi-layered PDF (allowing the options of white or black backgrounds, numbered or non-numbered areas, and secret doors on or off) and a zip file with all relevant map files as individual jpg images. 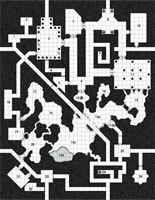 • March 16, 2018 - Paratime Design presents March 16, 2018 Friday Enhanced Map PDF for $1.00 (US)! The March 16, 2018 Friday Enhanced Map product contains a multi-layered PDF (allowing the options of white or black backgrounds, numbered or non-numbered areas, and secret doors on or off) and a zip file with all relevant map files as individual jpg images. • March 9, 2018 - Paratime Design presents March 9, 2018 Friday Enhanced Map PDF for $1.00 (US)! The March 9, 2018 Friday Enhanced Map product contains a multi-layered PDF (allowing the options of white or black backgrounds, numbered or non-numbered areas, and secret doors on or off) and a zip file with all relevant map files as individual jpg images. • March 2, 2018 - Paratime Design presents March 2, 2018 Friday Enhanced Map PDF for $1.00 (US)! The March 2, 2018 Friday Enhanced Map product contains a multi-layered PDF (allowing the options of white or black backgrounds, numbered or non-numbered areas, and secret doors on or off) and a zip file with all relevant map files as individual jpg images. 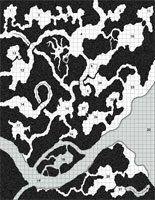 • February 23, 2018 - Paratime Design presents February 23, 2018 Friday Enhanced Map PDF for $1.00 (US)! The February 23, 2018 Friday Enhanced Map product contains a multi-layered PDF (allowing the options of white or black backgrounds, numbered or non-numbered areas, and secret doors on or off) and a zip file with all relevant map files as individual jpg images. 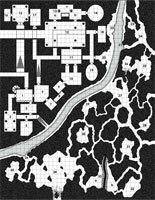 • February 16, 2018 - Paratime Design presents February 16, 2018 Friday Enhanced Map PDF for $1.00 (US)! The February 16, 2018 Friday Enhanced Map product contains a multi-layered PDF (allowing the options of white or black backgrounds, numbered or non-numbered areas, and secret doors on or off) and a zip file with all relevant map files as individual jpg images. • February 9, 2018 - Paratime Design presents February 9, 2018 Friday Enhanced Map PDF for $1.00 (US)! The February 9, 2018 Friday Enhanced Map product contains a multi-layered PDF (allowing the options of white or black backgrounds, numbered or non-numbered areas, and secret doors on or off) and a zip file with all relevant map files as individual jpg images. • February 2, 2018 - Paratime Design presents February 2, 2018 Friday Enhanced Map PDF for $1.00 (US)! The February 2, 2018 Friday Enhanced Map product contains a multi-layered PDF (allowing the options of white or black backgrounds, numbered or non-numbered areas, and secret doors on or off) and a zip file with all relevant map files as individual jpg images. 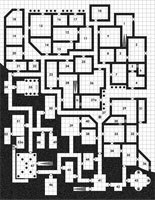 • January 30, 2018 - Paratime Design Presents... Walled Mansion Map PDF for $4.00 (US). 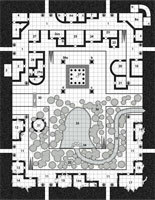 Paratime Design Presents... Walled Mansion PDF has multiple layers allowing the options of white or black backgrounds (on the dungeon map only), numbered or non-numbered areas, and secret doors on or off. The Walled Mansion maps can easily be used as a NPC?s stronghold (in either an urban or rural setting), a monastery, a thieves guild, etc. A zip file with all relevant images is also included. 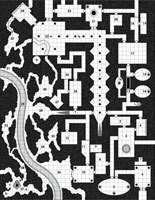 • January 26, 2018 - Paratime Design presents January 26, 2018 Friday Enhanced Map PDF for $1.00 (US)! The January 26, 2018 Friday Enhanced Map product contains a multi-layered PDF (allowing the options of white or black backgrounds, numbered or non-numbered areas, and secret doors on or off) and a zip file with all relevant map files as individual jpg images. • January 19, 2018 - Paratime Design presents January 19, 2018 Friday Enhanced Map PDF for $1.00 (US)! The January 19, 2017 Friday Enhanced Map product contains a multi-layered PDF (allowing the options of white or black backgrounds, numbered or non-numbered areas, and secret doors on or off) and a zip file with all relevant map files as individual jpg images. 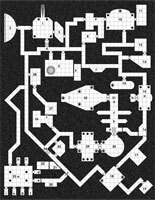 • January 16, 2018 - Paratime Design Presents... Forest Ruins Map PDF for $3.00 (US). 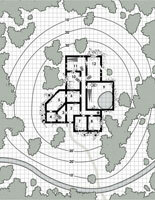 This PDF contains the Forest Ruins map that has multiple layers allowing the options of grey or black backgrounds (on the building walls), numbered or non-numbered areas, and secret doors on or off. 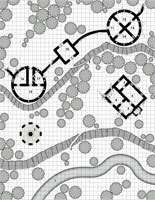 The Forest Ruins map represent a small selection of ruins, overgrown with the surrounding vegetation. • January 12, 2018 - Paratime Design presents January 12, 2018 Friday Enhanced Map PDF for $1.00 (US)! This PDF contains the January 12, 2018 Friday Enhanced Map with multiple layers allowing the options of numbered or non-numbered areas, white and black backgrounds, and secret doors (and related areas) on or off. • January 5, 2018 - Paratime Design presents January 5, 2018 Friday Enhanced Map PDF for $1.00 (US)! This PDF contains the January 5, 2018 Friday Enhanced Map with multiple layers allowing the options of numbered or non-numbered areas, white and black backgrounds, and secret doors (and related areas) on or off. • December 22, 2017 - Paratime Design presents December 22, 2017 Friday Enhanced Map PDF for $1.00 (US)! 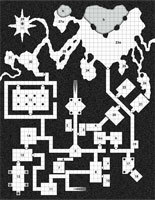 This PDF contains the December 22, 2017 Friday Enhanced Map with multiple layers allowing the options of numbered or non-numbered areas, white and black backgrounds, and secret doors (and related areas) on or off. 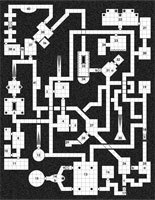 • Dec 18, 2017 - Paratime Design presents Village Maps #7 PDF! 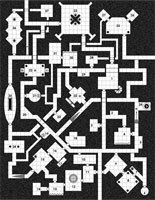 This PDF is an unstocked, 'Old School' village map for use with any Fantasy based RPG. This particular map is 'pay what you want' to celebrate the Paratime Design Page at Facebook hitting a thousand likes/followers. Here's to another thousand more. Need a village map but don't have the time to draw one, then this map is for you. This PDF has three layers allowing the options of numbered or nonnumbered areas (layers 1 and 2), and a layer showing descriptive labels (layer 3). • December 15, 2017 - Paratime Design presents December 15, 2017 Friday Enhanced Map PDF for $1.00 (US)! 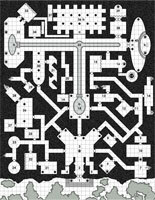 This PDF contains the December 15, 2017 Friday Enhanced Map with multiple layers allowing the options of numbered or non-numbered areas, white and black backgrounds, and secret doors on or off. • December 8, 2017 - Paratime Design presents December 8, 2017 Friday Enhanced Map PDF for $1.00 (US)! This PDF contains the December 8, 2017 Friday Enhanced Map with multiple layers allowing the options of numbered or non-numbered areas, white and black backgrounds, and secret doors on or off. • December 1, 2017 - Paratime Design presents December 1, 2017 Friday Enhanced Map PDF for $1.00 (US)! 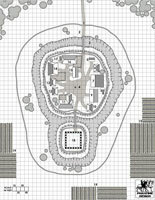 This PDF contains the December 1, 2017 Friday Enhanced Map with multiple layers allowing the options of numbered or non-numbered areas, white and black backgrounds, and secret doors on or off. • November 24, 2017 - Paratime Design presents November 24, 2017 Friday Enhanced Map PDF for $1.00 (US)! 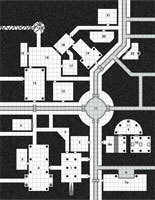 This PDF contains the November 24, 2017 Friday Enhanced Map with multiple layers allowing the options of numbered or non-numbered areas, white and black backgrounds, and secret doors on or off. • November 17, 2017 - Paratime Design presents November 17, 2017 Friday Enhanced Map PDF for $1.00 (US)! 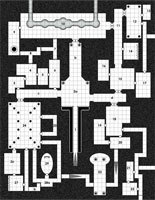 This PDF contains the November 17, 2017 Friday Enhanced Map with multiple layers allowing the options of numbered or non-numbered areas, white and black backgrounds, and secret doors on or off. • November 10, 2017 - Paratime Design presents November 10, 2017 Friday Enhanced Map PDF for $1.00 (US)! 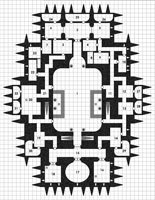 This PDF contains the November 10, 2017 Friday Enhanced Map with multiple layers allowing the options of numbered or non-numbered areas, white and black backgrounds, and secret doors on or off. 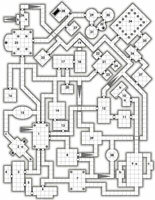 This the ninth dungeon geomorph map. • November 3, 2017 - Paratime Design presents November 3, 2017 Friday Enhanced Map PDF for $1.00 (US)! 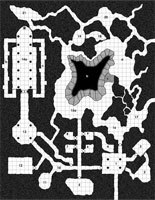 This PDF contains the November 3, 2017 Friday Enhanced Map with multiple layers allowing the options of numbered or non-numbered areas, white and black backgrounds, and secret doors on or off. 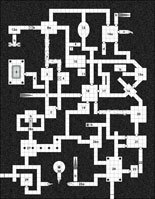 This the eighth dungeon geomorph map. 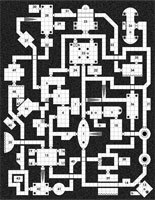 • October 27, 2017 - Paratime Design presents its October 27, 2017 Friday Enhanced Map PDF! This is Paratime Design's 100th Friday Freebie map! 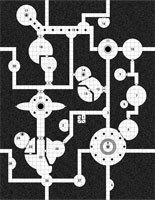 To celebrate, I've made the Enhanced PDF version of this map 'pay what you want' at DriveThruRPG/RPGNow! 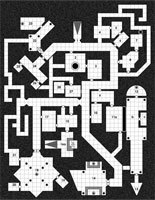 The Enhanced PDF has two pages of maps with multiple layers allowing the options of white or black backgrounds (on the dungeon maps only), numbered or non-numbered areas (on all maps), and secret doors on or off (on all maps). 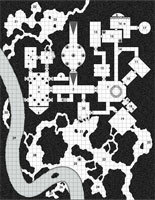 • October 20, 2017 - Paratime Design presents October 20, 2017 Friday Enhanced Map PDF for $1.00 (US)! 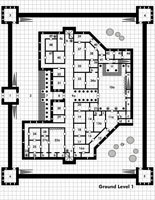 This PDF contains the October 20, 2017 Friday Enhanced Map with multiple layers allowing the options of numbered or non-numbered areas, white and black backgrounds, and secret doors on or off. 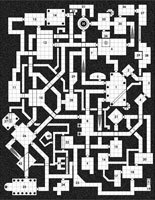 This the seventh dungeon geomorph map. 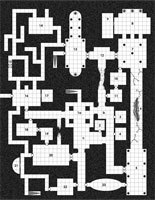 • October 13, 2017 - Paratime Design presents October 13, 2017 Friday Enhanced Map PDF for $1.00 (US)! This PDF contains the October 13, 2017 Friday Enhanced Map with multiple layers allowing the options of numbered or non-numbered areas, white and black backgrounds, and secret doors on or off. 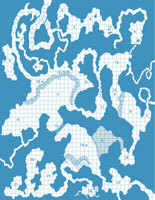 This the sixth dungeon geomorph map. • October 6, 2017 - Paratime Design presents October 6, 2017 Friday Enhanced Map PDF for $1.00 (US)! This PDF contains the October 6, 2017 Friday Enhanced Map with multiple layers allowing the options of numbered or non-numbered areas, white and black backgrounds, and secret doors on or off). This the fifth dungeon geomorph map. • September 29, 2017 - Paratime Design presents September 29, 2017 Friday Enhanced Map PDF for $1.00 (US)! This PDF contains the September 29, 2017 Friday Enhanced Map with multiple layers allowing the options of numbered or non-numbered areas, white and black backgrounds, and secret doors on or off. 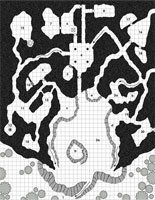 This the fourth dungeon geomorph map. • September 22, 2017 - Paratime Design presents September 22, 2017 Friday Enhanced Map PDF for $1.00 (US)! 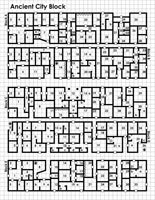 This PDF contains the September 22, 2017 Friday Enhanced Map with multiple layers allowing the options of numbered or non-numbered areas, white and black backgrounds, and secret doors on or off. This the third dungeon geomorph map. • September 15, 2017 - Paratime Design presents September 15, 2017 Friday Enhanced Map PDF for $1.00 (US)! This PDF contains the September 15, 2017 Friday Enhanced Map with multiple layers allowing the options of numbered or non-numbered areas, white and black backgrounds, and secret doors on or off. 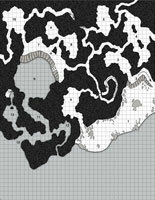 This the second dungeon geomorph map. • September 8, 2017 - Paratime Design presents September 8, 2017 Friday Enhanced Map PDF for $1.00 (US)! This PDF contains the September 8, 2017 Friday Enhanced Map with multiple layers allowing the options of numbered or non-numbered areas, white and black backgrounds, and secret doors on or off. 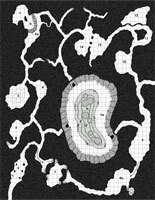 This the first of a series of dungeon geomorphs. • September 1, 2017 - Paratime Design presents September 1, 2017 Friday Enhanced Map PDF for $1.00 (US)! 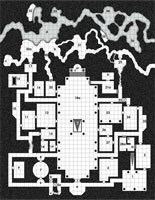 This PDF contains the September 1, 2017 Friday Enhanced Map with multiple layers allowing the options of numbered or non-numbered areas, white and black backgrounds, and secret doors on or off (for ease with Virtual Tabletop programs). • August 25, 2017 - Paratime Design presents August 25, 2017 Friday Enhanced Map PDF for $1.00 (US)! 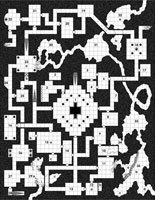 This PDF contains the August 25, 2017 Friday Enhanced Map with multiple layers allowing the options of numbered or non-numbered areas, white and black backgrounds, and secret doors on or off (for ease with Virtual Tabletop programs). • August 18, 2017 - Paratime Design presents August 18, 2017 Friday Enhanced Map PDF for $1.00 (US)! 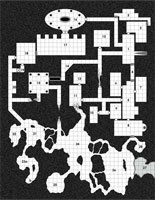 This PDF contains the August 18, 2017 Friday Enhanced Map with multiple layers allowing the options of numbered or non-numbered areas, white and black backgrounds, and secret doors on or off (for ease with Virtual Tabletop programs). • August 11, 2017 - Paratime Design presents August 11, 2017 Friday Enhanced Map PDF for $1.00 (US)! 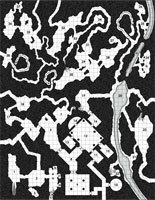 This PDF contains the August 11, 2017 Friday Enhanced Map with multiple layers allowing the options of numbered or non-numbered areas, white and black backgrounds, and secret doors on or off (for ease with Virtual Tabletop programs). • August 4, 2017 - Paratime Design presents August 4, 2017 Friday Enhanced Map PDF for $1.00 (US)! 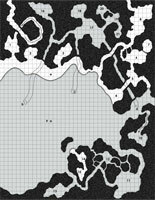 This PDF contains the August 4, 2017 Friday Enhanced Map with multiple layers allowing the options of numbered or non-numbered areas, white and black backgrounds, and secret doors on or off (for ease with Virtual Tabletop programs). • July 28, 2017 - Paratime Design presents July 28, 2017 Friday Enhanced Map PDF for $1.00 (US)! This PDF contains the July 28, 2017 Friday Enhanced Map with multiple layers allowing the options of numbered or non-numbered areas, white and black backgrounds, and secret doors on or off (for ease with Virtual Tabletop programs). • July 21, 2017 - Paratime Design presents July 21, 2017 Friday Enhanced Map PDF for $1.00 (US)! 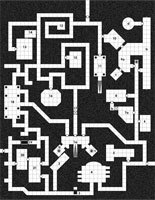 This PDF contains the July 21, 2017 Friday Enhanced Map with multiple layers allowing the options of numbered or non-numbered areas, white and black backgrounds, and secret doors on or off (for ease with Virtual Tabletop programs). • July 14, 2017 - Paratime Design presents July 14, 2017 Friday Enhanced Map PDF for $1.00 (US)! This PDF contains the July 14, 2017 Friday Enhanced Map with multiple layers allowing the options of numbered or non-numbered areas, white and black backgrounds, and secret doors on or off (for ease with Virtual Tabletop programs). • July 7, 2017 - Paratime Design presents July 7, 2017 Friday Enhanced Map PDF for $1.00 (US)! This PDF contains the July 7, 2017 Friday Enhanced Map with multiple layers allowing the options of numbered or non-numbered areas, white and black backgrounds, and secret doors on or off (for ease with Virtual Tabletop programs). • June 30, 2017 - Paratime Design presents June 30, 2017 Friday Enhanced Map PDF for $1.00 (US)! This PDF contains the June 30, 2017 Friday Enhanced Map with multiple layers allowing the options of numbered or non-numbered areas, white and black backgrounds, and secret doors on or off (for ease with Virtual Tabletop programs). • June 23, 2017 - Paratime Design presents June 23, 2017 Friday Enhanced Map PDF for $1.00 (US)! 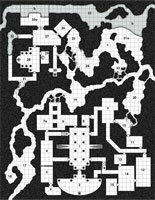 This PDF contains the June 23, 2017 Friday Enhanced Map with multiple layers allowing the options of numbered or non-numbered areas, white and black backgrounds, and secret doors on or off (for ease with Virtual Tabletop programs). • June 16, 2017 - Paratime Design presents June 16, 2017 Friday Enhanced Map PDF for $1.00 (US)! This PDF contains the June 16, 2017 Friday Enhanced Map with multiple layers allowing the options of numbered or non-numbered areas, white and black backgrounds, and secret doors on or off (for ease with Virtual Tabletop programs). • June 9, 2017 - Paratime Design presents June 9, 2017 Friday Enhanced Map PDF for $1.00 (US)! This PDF contains the June 9, 2017 Friday Enhanced Map with multiple layers allowing the options of numbered or non-numbered areas, white and black backgrounds, and secret doors on or off (for ease with Virtual Tabletop programs). • June 2, 2017 - Paratime Design presents June 2, 2017 Friday Enhanced Map PDF for $1.00 (US)! 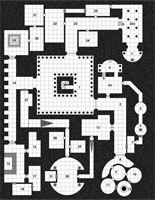 This PDF contains the June 2, 2017 Friday Enhanced Map with multiple layers allowing the options of numbered or non-numbered areas, white and black backgrounds, and secret doors on or off (for ease with Virtual Tabletop programs). • May 26, 2017 - Paratime Design presents May 26, 2017 Friday Enhanced Map PDF for $1.00 (US)! 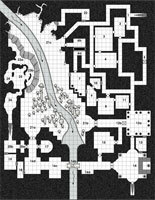 This PDF contains the May 26, 2017 Friday Enhanced Map with multiple layers allowing the options of numbered or non-numbered areas, white and black backgrounds, and secret doors on or off (for ease with Virtual Tabletop programs). • May 19, 2017 - Paratime Design presents May 19, 2017 Friday Enhanced Map PDF for $1.00 (US)! 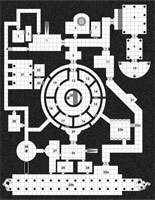 This PDF contains the May 19, 2017 Friday Enhanced Map with multiple layers allowing the options of numbered or non-numbered areas, white and black backgrounds, and secret doors on or off (for ease with Virtual Tabletop programs). • May 12, 2017 - Paratime Design presents May 12, 2017 Friday Enhanced Map PDF for $1.00 (US)! 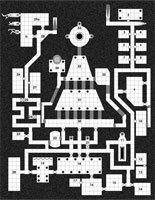 This PDF contains the May 12, 2017 Friday Enhanced Map with multiple layers allowing the options of numbered or non-numbered areas, white and black backgrounds, and secret doors on or off (for ease with Virtual Tabletop programs). • May 5, 2017 - Paratime Design presents May 5, 2017 Friday Enhanced Map PDF for $1.00 (US)! 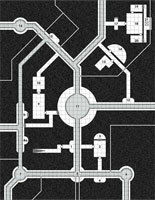 This PDF contains the May 5, 2017 Friday Enhanced Map with multiple layers allowing the options of numbered or non-numbered areas, white and black backgrounds, and secret doors on or off (for ease with Virtual Tabletop programs). • April 28, 2017 - Paratime Design presents April 28, 2017 Friday Enhanced Map PDF for $1.00 (US)! 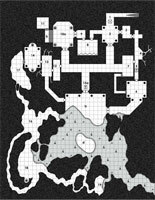 This PDF contains the April 28, 2017 Friday Enhanced Map with multiple layers allowing the options of numbered or non-numbered areas, white and black backgrounds, and secret doors on or off (for ease with Virtual Tabletop programs). • April 21, 2017 - Paratime Design presents April 21, 2017 Friday Enhanced Map PDF for $1.00 (US)! 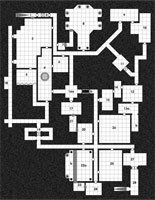 This PDF contains the April 21, 2017 Friday Enhanced Map with multiple layers allowing the options of numbered or non-numbered areas, white and black backgrounds, and secret doors on or off (for ease with Virtual Tabletop programs). • April 14, 2017 - Paratime Design presents April 14, 2017 Friday Enhanced Map PDF for $1.00 (US)! 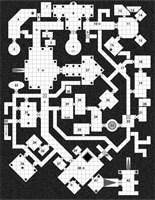 This PDF contains the April 14, 2017 Friday Enhanced Map with multiple layers allowing the options of numbered or non-numbered areas, white and black backgrounds, and secret doors on or off (for ease with Virtual Tabletop programs). • April 7, 2017 - Paratime Design presents April 7, 2017 Friday Enhanced Map PDF for $1.00 (US)! 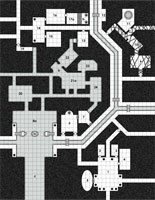 This PDF contains the April 7, 2017 Friday Enhanced Map with multiple layers allowing the options of numbered or non-numbered areas, white and black backgrounds, and secret doors on or off (for ease with Virtual Tabletop programs). • March 31, 2017 - Paratime Design presents March 24, 2017 Friday Enhanced Map PDF for $1.00 (US)! 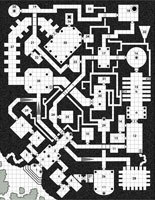 This PDF contains the March 31, 2017 Friday Enhanced Map with multiple layers allowing the options of numbered or non-numbered areas, white and black backgrounds, and secret doors on or off (for ease with Virtual Tabletop programs). • March 24, 2017 - Paratime Design presents March 24, 2017 Friday Enhanced Map PDF for $1.00 (US)! 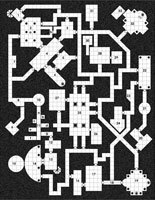 This PDF contains the March 24, 2017 Friday Enhanced Map with multiple layers allowing the options of numbered or non-numbered areas, white and black backgrounds, and secret doors on or off (for ease with Virtual Tabletop programs). 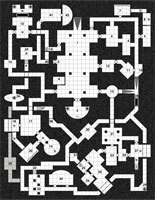 • March 23, 2017 - Paratime Design presents The Nethervaults of Venegrut the Mad - Part 1 The Upper Levels Map PDF for $7.00 (US)! This PDF contains twelve interconnected Friday Freebie Enhanced maps from Nov 4th, 11th, 18th, and 25th 2016; Dec 2nd, 16th, and 23rd 2016; Jan 6th, 13th, 20th, and 27th 2017; and Feb 3 2017. 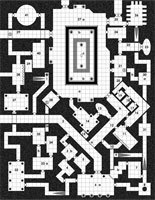 This PDF has multiple layers allowing the options of white or black backgrounds, numbered or non-numbered areas, and secret doors/slopes on or off (for ease with Virtual Tabletop programs). • March 17, 2017 - Paratime Design presents March 17, 2017 Friday Enhanced Map PDF for $1.00 (US)! 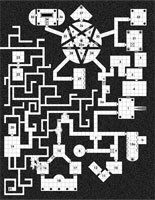 This PDF contains the March 17, 2017 Friday Enhanced Map with multiple layers allowing the options of numbered or non-numbered areas, white and black backgrounds, and secret doors on or off (for ease with Virtual Tabletop programs). • March 10, 2017 - Paratime Design presents March 10, 2017 Friday Enhanced Map PDF for $1.00 (US)! 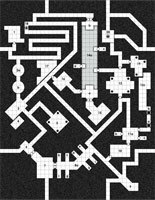 This PDF contains the March 10, 2017 Friday Enhanced Map with multiple layers allowing the options of numbered or non-numbered areas, white and black backgrounds, and secret doors on or off (for ease with Virtual Tabletop programs). • March 3, 2017 - Paratime Design presents March 3, 2017 Friday Enhanced Map PDF for $1.00 (US)! 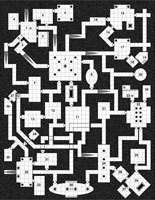 This PDF contains the March 3, 2017 Friday Enhanced Map with multiple layers allowing the options of numbered or non-numbered areas, white and black backgrounds, and secret doors on or off (for ease with Virtual Tabletop programs). • February 24, 2017 - Paratime Design presents February 24, 2017 Friday Enhanced Map PDF for $1.00 (US)! 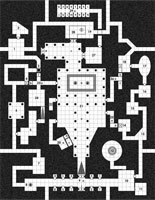 This PDF contains the February 24, 2017 Friday Enhanced Map with multiple layers allowing the options of numbered or non-numbered areas, white and black backgrounds, and secret doors on or off (for ease with Virtual Tabletop programs). • February 17, 2017 - Paratime Design presents February 17, 2017 Friday Enhanced Map PDF for $1.00 (US)! 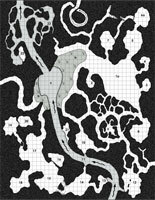 This PDF contains the February 17, 2017 Friday Enhanced Map with multiple layers allowing the options of numbered or non-numbered areas, white and black backgrounds, and secret doors on or off (for ease with Virtual Tabletop programs). • February 10, 2017 - Paratime Design presents February 10, 2017 Friday Enhanced Map PDF for $1.00 (US)! 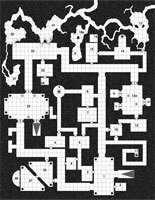 This PDF contains the February 10, 2017 Friday Enhanced Map with multiple layers allowing the options of numbered or non-numbered areas, white and black backgrounds, and secret doors on or off (for ease with Virtual Tabletop programs). • February 3, 2017 - Paratime Design presents February 3, 2017 Friday Enhanced Map PDF for $1.00 (US)! 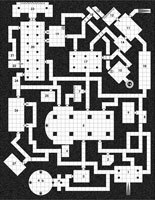 This PDF contains the February 3, 2017 Friday Enhanced Map with multiple layers allowing the options of numbered or non-numbered areas, white and black backgrounds, and secret doors on or off (for ease with Virtual Tabletop programs). • January 27, 2017 - Paratime Design presents January 27, 2017 Friday Enhanced Map PDF for $1.00 (US)! 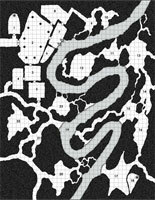 This PDF contains the January 27, 2017 Friday Enhanced Map with multiple layers allowing the options of numbered or non-numbered areas, white and black backgrounds, and secret doors on or off (for ease with Virtual Tabletop programs). • January 20, 2017 - Paratime Design presents January 20, 2017 Friday Enhanced Map PDF for $1.00 (US)! 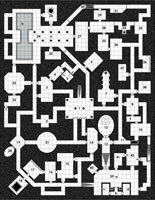 This PDF contains the January 20, 2017 Friday Enhanced Map with multiple layers allowing the options of numbered or non-numbered areas, white and black backgrounds, and secret doors on or off (for ease with Virtual Tabletop programs). • January 13, 2017 - Paratime Design presents January 13, 2017 Friday Enhanced Map PDF for $1.00 (US)! 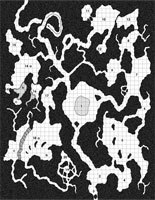 This PDF contains the January 13, 2017 Friday Enhanced Map with multiple layers allowing the options of numbered or non-numbered areas, white and black backgrounds, and secret doors on or off (for ease with Virtual Tabletop programs). • January 6, 2017 - Paratime Design presents January 6, 2017 Friday Enhanced Map PDF for $1.00 (US)! 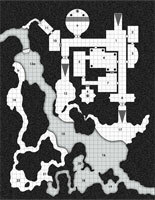 This PDF contains the January 6, 2017 Friday Enhanced Map with multiple layers allowing the options of numbered or non-numbered areas, white and black backgrounds, and secret doors on or off (for ease with Virtual Tabletop programs). • December 23, 2016 - Paratime Design presents December 23, 2016 Friday Enhanced Map PDF for $1.00 (US)! 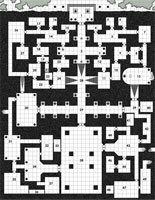 This PDF contains the December 23, 2016 Friday Enhanced Map with multiple layers allowing the options of numbered or non-numbered areas, white and black backgrounds, and secret doors on or off (for ease with Virtual Tabletop programs). • December 16, 2016 - Paratime Design presents December 16, 2016 Friday Enhanced Map PDF for $1.00 (US)! 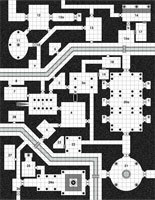 This PDF contains the December 16, 2016 Friday Enhanced Map with multiple layers allowing the options of numbered or non-numbered areas, white and black backgrounds, and secret doors on or off (for ease with Virtual Tabletop programs). • December 9, 2016 - Paratime Design presents December 9, 2016 Friday Enhanced Map PDF for $1.00 (US)! 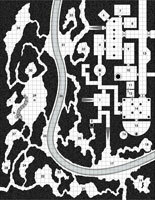 This PDF contains the December 9, 2016 Friday Enhanced Map with multiple layers allowing the options of numbered or non-numbered areas, white and black backgrounds, and secret doors on or off (for ease with Virtual Tabletop programs). • December 2, 2016 - Paratime Design presents December 2, 2016 Friday Enhanced Map PDF for $1.00 (US)! 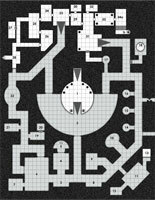 This PDF contains the December 2, 2016 Friday Enhanced Map with multiple layers allowing the options of numbered or non-numbered areas, white and black backgrounds, and secret doors on or off (for ease with Virtual Tabletop programs). • November 25, 2016 - Paratime Design presents November 25, 2016 Friday Enhanced Map PDF for $1.00 (US)! 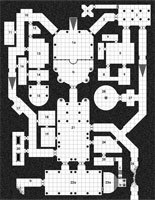 This PDF contains the November 25, 2016 Friday Enhanced Map with multiple layers allowing the options of numbered or non-numbered areas, white and black backgrounds, and secret doors on or off (for ease with Virtual Tabletop programs). • November 18, 2016 - Paratime Design presents November 18, 2016 Friday Enhanced Map PDF for $1.00 (US)! 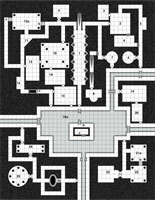 This PDF contains the November 18, 2016 Friday Enhanced Map with multiple layers allowing the options of numbered or non-numbered areas, white and black backgrounds, and secret doors on or off (for ease with Virtual Tabletop programs). • November 11, 2016 - Paratime Design presents November 11, 2016 Friday Enhanced Map PDF for $1.00 (US)! 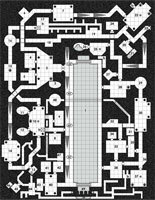 This PDF contains the November 11, 2016 Friday Enhanced Map with multiple layers allowing the options of numbered or non-numbered areas, white and black backgrounds, and secret doors on or off (for ease with Virtual Tabletop programs). • November 4, 2016 - Paratime Design presents November 4, 2016 Friday Enhanced Map PDF for $1.00 (US)! 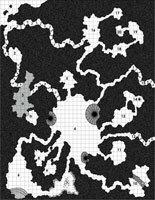 This PDF contains the November 4, 2016 Friday Enhanced Map with multiple layers allowing the options of numbered or non-numbered areas, white and black backgrounds, and secret doors on or off (for ease with Virtual Tabletop programs). 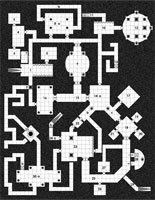 • October 28, 2016 - Paratime Design presents October 28, 2016 Friday Enhanced Map PDF for $1.00 (US)! 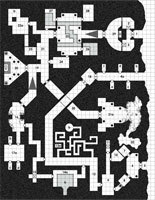 This PDF contains the October 28, 2016 Friday Enhanced Map with multiple layers allowing the options of numbered or non-numbered areas, white and black backgrounds, and secret doors on or off (for ease with Virtual Tabletop programs). 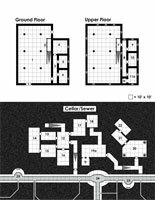 • October 21, 2016 - Paratime Design presents October 21, 2016 Friday Enhanced Map PDF for $1.00 (US)! 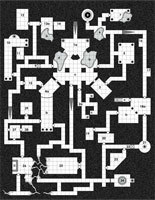 This PDF contains the October 21, 2016 Friday Enhanced Map with multiple layers allowing the options of numbered or non-numbered areas, white and black backgrounds, and secret doors on or off (for ease with Virtual Tabletop programs). 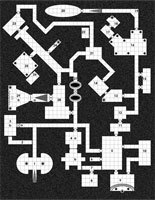 • October 14, 2016 - Paratime Design presents October 14, 2016 Friday Enhanced Map PDF for $1.00 (US)! 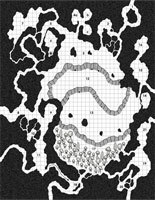 This PDF contains the October 14, 2016 Friday Enhanced Map with multiple layers allowing the options of numbered or non-numbered areas, white and black backgrounds, and secret doors on or off (for ease with Virtual Tabletop programs). • October 7, 2016 - Paratime Design presents October 7, 2016 Friday Enhanced Map PDF for $1.00 (US)! 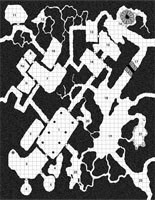 This PDF contains the October 7, 2016 Friday Enhanced Map with multiple layers allowing the options of numbered or non-numbered areas, white and black backgrounds, and secret doors on or off (for ease with Virtual Tabletop programs). • September 30, 2016 - Paratime Design presents September 30, 2016 Friday Enhanced Map PDF for $1.00 (US)! 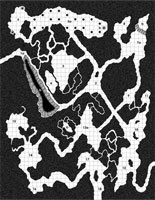 This PDF contains the September 30, 2016 Friday Enhanced Map with multiple layers allowing the options of numbered or non-numbered areas, white and black backgrounds, and secret doors on or off (for ease with Virtual Tabletop programs). • September 23, 2016 - Paratime Design presents September 23, 2016 Friday Enhanced Map PDF for $1.00 (US)! This PDF contains the September 23, 2016 Friday Enhanced Map with multiple layers allowing the options of numbered or non-numbered areas, white and black backgrounds, and elevation lines/downward slope arrows on or off (for ease with Virtual Tabletop programs). • September 17, 2016 - Paratime Design presents April 15, 2016 Friday Enhanced Map PDF for $1.00 (US)! This PDF contains the April 15, 2016 Friday Enhanced Map with multiple layers allowing the options of numbered or non-numbered areas, white and black backgrounds, and elevation lines/downward slope arrows on or off (for ease with Virtual Tabletop programs). • September 16, 2016 - Paratime Design presents September 16, 2016 Friday Enhanced Map PDF for $1.00 (US)! This PDF contains the September 16, 2016 Friday Enhanced Map with multiple layers allowing the options of numbered or non-numbered areas, white and black backgrounds, and downward slope arrows on or off (for ease with Virtual Tabletop programs). • September 9, 2016 - Paratime Design presents September 9, 2016 Friday Enhanced Map PDF for $1.00 (US)! This PDF contains the September 9, 2016 Friday Enhanced Map with multiple layers allowing the options of numbered or non-numbered areas, and secret doors on or off (for ease with Virtual Tabletop programs). 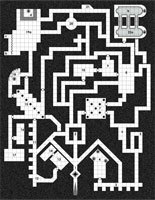 • September 6, 2016 - Paratime Design presents Hobgoblin Lair Map PDF for $3.00 (US)! 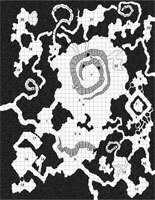 This PDF contains a cave system that spans two A4-sized pages. 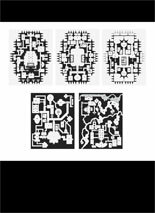 Each page has mulitple layers allowing the options of white or black backgrounds, numbered or non-numbered areas, and secret doors on or off (for ease with virtual tabletop programs). 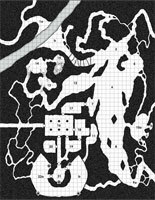 While these maps were originally created to be a hobgoblin lair, they could easily work with any humanoid or subterranean species. • September 3, 2016 - Paratime Design presents September 2, 2016 Friday Enhanced Map PDF for only $1.00 (US)! This PDF contains the September 2, 2016 Friday Enhanced Map with multiple layers allowing the options of numbered or non-numbered areas, and elevation markers on or off (for ease with Virtual Tabletop programs). • September 2, 2016 - Paratime Design presents September 2, 2016 Friday Enhanced Map PDF for only $1.00 (US)! • September 1, 2016 - Paratime Design presents April 29, 2016 Friday Enhanced Map PDF for only $1.00 (US)! This PDF contains the April 29, 2016 Friday Enhanced Map with multiple layers allowing the options of numbered or non-numbered areas, and elevation markers on or off (for ease with Virtual Tabletop programs). • August 31, 2016 - Paratime Design presents May 6, 2016 Friday Enhanced Map PDF for only $1.00 (US)! This PDF contains the May 6, 2016 Friday Enhanced Map with multiple layers allowing the options of numbered or non-numbered areas, and elevation markers on or off (for ease with Virtual Tabletop programs). • August 30, 2016 - Paratime Design presents May 13, 2016 Friday Enhanced Map PDF for only $1.00 (US)! This PDF contains the May 13, 2016 Friday Enhanced Map with multiple layers allowing the options of numbered or non-numbered areas, and elevation markers on or off (for ease with Virtual Tabletop programs). • August 27, 2016 - Paratime Design presents May 20, 2016 Friday Enhanced Map PDF for only $1.00 (US)! This PDF contains the May 20, 2016 Friday Enhanced Map with multiple layers allowing the options of numbered or non-numbered areas, and elevation markers on or off (for ease with Virtual Tabletop programs). • August 26, 2016 - Paratime Design presents August 26, 2016 Friday Enhanced Map PDF for only $1.00 (US)! This PDF contains the August 26, 2016 Friday Enhanced Map with multiple layers allowing the options of numbered or non-numbered areas, and elevation markers on or off (for ease with Virtual Tabletop programs). • August 25, 2016 - Paratime Design presents May 27, 2016 Friday Enhanced Map PDF for only $1.00 (US)! This PDF contains the May 27, 2016 Friday Enhanced Map with multiple layers allowing the options of numbered or non-numbered areas, and elevation markers on or off (for ease with Virtual Tabletop programs). • August 24, 2016 - Paratime Design presents June 3, 2016 Friday Enhanced Map PDF for only $1.00 (US)! 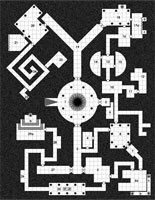 This PDF contains the June 3, 2016 Friday Enhanced Map with multiple layers allowing the options of white or black backgrounds, numbered or non-numbered areas, and secret doors on or off (for ease with Virtual Tabletop programs). • August 23, 2016 - Paratime Design presents June 10, 2016 Friday Enhanced Map PDF for only $1.00 (US)! 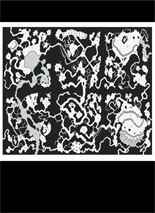 This PDF contains the June 10, 2016 Friday Enhanced Map with multiple layers allowing the options of white or black backgrounds, numbered or non-numbered areas, and secret doors on or off (for ease with Virtual Tabletop programs). • August 22, 2016 - Paratime Design presents June 17, 2016 Friday Enhanced Map PDF for only $1.00 (US)! 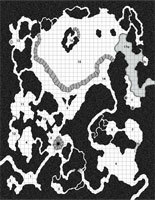 This PDF contains the June 17, 2016 Friday Enhanced Map with multiple layers allowing the options of white or black backgrounds, numbered or non-numbered areas, and secret doors on or off (for ease with Virtual Tabletop programs). • August 21, 2016 - Paratime Design presents June 24, 2016 Friday Enhanced Map PDF for only $1.00 (US)! 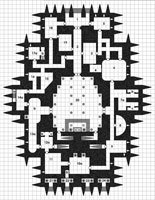 This PDF contains the June 24, 2016 Friday Enhanced Map with multiple layers allowing the options of white or black backgrounds, numbered or non-numbered areas, and secret doors on or off (for ease with Virtual Tabletop programs). • August 19, 2016 - Paratime Design presents August 19, 2016 Friday Enhanced Map PDF for only $1.00 (US)! 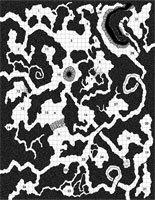 This PDF contains the August 19, 2016 Friday Enhanced Map with multiple layers allowing the options of white or black backgrounds, numbered or non-numbered areas, and secret doors on or off (for ease with Virtual Tabletop programs). • August 12, 2016 - Paratime Design presents August 12, 2016 Friday Enhanced Map PDF for only $1.00 (US)! 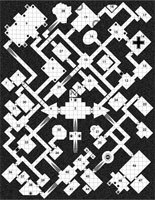 This PDF contains the August 12, 2016 Friday Enhanced Map with multiple layers allowing the options of white or black backgrounds, numbered or non-numbered areas, and secret doors on or off (for ease with Virtual Tabletop programs). • August 5, 2016 - Paratime Design presents August 5, 2016 Friday Enhanced Map PDF for only $1.00 (US)! 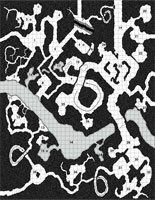 This PDF contains the August 5, 2016 Friday Enhanced Map with multiple layers allowing the options of white or black backgrounds, numbered or non-numbered areas, and secret doors on or off (for ease with Virtual Tabletop programs). • July 29, 2016 - Paratime Design presents July 29, 2016 Friday Enhanced Map PDF for only $1.00 (US)! 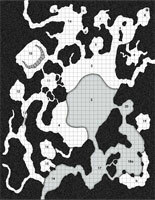 This PDF contains the July 29, 2016 Friday Enhanced Map with multiple layers allowing the options of white or black backgrounds, numbered or non-numbered areas, and secret doors on or off (for ease with Virtual Tabletop programs). • July 24, 2016 - Paratime Design presents July 1, 2016 Friday Enhanced Map PDF for only $1.00 (US)! 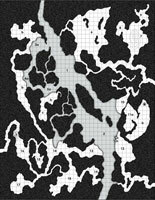 This PDF contains the July 1, 2016 Friday Enhanced Map with multiple layers allowing the options of white or black backgrounds, numbered or non-numbered areas, and secret doors on or off (for ease with Virtual Tabletop programs). • July 23, 2016 - Paratime Design presents July 15, 2016 Friday Enhanced Map PDF for only $1.00 (US)! 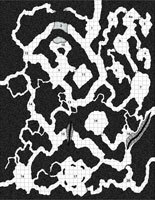 This PDF contains the July 22, 2016 Friday Enhanced Map with multiple layers allowing the options of white or black backgrounds, numbered or non-numbered areas, and secret doors on or off (for ease with Virtual Tabletop programs). • July 22, 2016 - Paratime Design presents July 22, 2016 Friday Enhanced Map PDF for only $1.00 (US)! 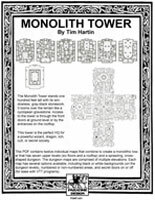 • May 16, 2016 - Paratime Design presents Monolith Tower PDF for only $5.50 (US)! The Monolith Tower stands one hundred feet tall with its windowless, gray-black stonework. It looms over the terrain like a cyclopean gravestone. Access to the tower is through the front doors at ground level or by the entrances on the rooftop. This tower is the perfect HQ for a powerful wizard, dragon, lich, cult, or secret society. 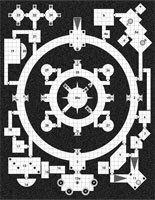 This PDF contains twelve individual maps that combine to create a monolithic tower that has seven upper levels (six floors and a rooftop) and a sprawling, cross-shaped dungeon. 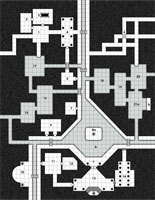 The dungeon maps are comprised of multiple elevations. 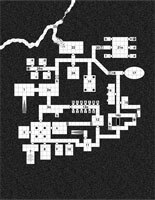 Each map has several options available, including black or white backgrounds (on the dungeon levels), numbered or non-numbered areas, and secret doors on or off (for ease with VTT programs). 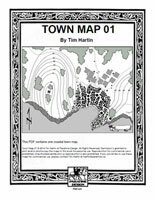 • Apr 11, 2016 - Paratime Design presents Town Map 01 PDF for only $3.99 (US)! Need a town map for your game? This map is an unstocked, 'Old School' coastal town map for use with any Fantasy based RPG. 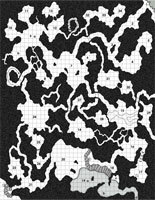 • Nov 16, 2015 - Updated the Black & White Dungeon Maps page with thirteen new Creative Commons licensed maps! 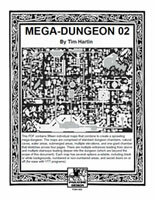 • Aug 28, 2015 - Paratime Design presents Mega-Dungeon 02 PDF for only $6.00 (US)! 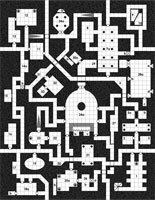 This PDF contains fifteen individual maps that combine to create a sprawling mega-dungeon. 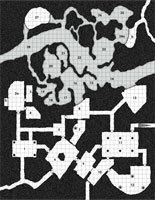 The maps are comprised of standard dungeon chambers, natural caves, water areas, submerged areas, multiple elevations, and one giant chamber that stretches across four pages. 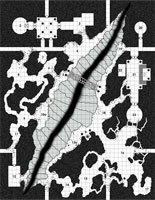 There are multiple entrances leading from above and multiple stairways leading deeper into the dungeon (which are beyond the scope of this document). 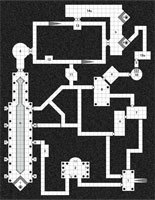 Each map has several options available, including black or white backgrounds, numbered or non-numbered areas, and secret doors on or off (for ease with VTT programs). 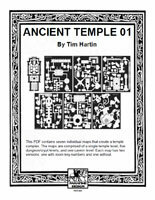 • Jan 13, 2015 - Paratime Design presents Ancient Temple 01 PDF for only $3.99 (US)! 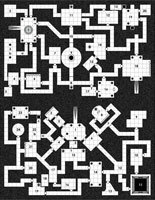 This PDF contains seven individual maps that create an ancient temple complex. 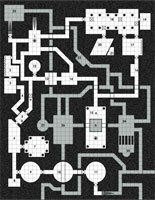 The maps are comprised of a single temple level, five dungeon/crypt levels, and one cavern level. Each map has two versions: one with room key numbers and one without. 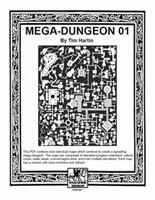 • Oct 23, 2014 - Paratime Design presents Mega-Dungeon 01 PDF for only $4.99 (US)! 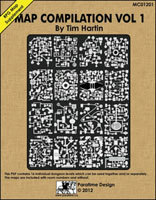 This book contains nine individual maps which combine to create a sprawling mega-dungeon. 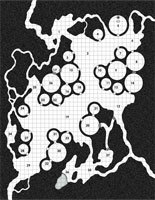 The maps are comprised of standard dungeon chambers, natural caves, water areas, a lava/magma area, and even multiple elevations. Each map has a version with room numbers and without. • Jul 29, 2014 - Paratime Design presents Village Maps #6 PDF for only $2.50 (US)! Need a village map for your game? 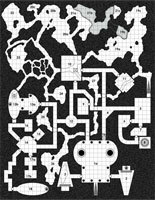 This map is an unstocked, 'Old School' village map for use with any Fantasy based RPG. This map consists of two hamlets for the price of one. 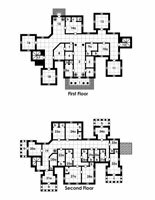 The PDF contains two maps - one with key numbers/building names and one without. The black corner bar is only on the cover image and not on the actual maps. • Jul 7, 2014 - Paratime Design presents Sailing Ship Maps #1 PDF for only $2.50 (US)! 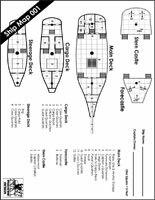 Need a sailing ship map for your game? Then this map is for you! It is an unstocked sailing ship map for use with any Fantasy based RPG for only $2.50 US! 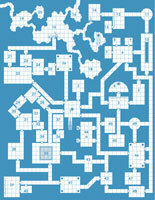 The PDF includes two maps - one with room titles already assigned and one with blanks for the DM to fill in. The black corner bar is only on the cover image and not on the actual maps. 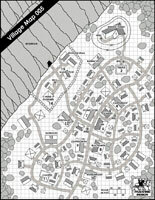 • Apr 30, 2014 - Paratime Design presents Village Maps #5 PDF for only $2.50 (US)! 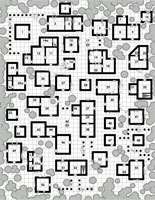 Need a village map for your game? This map is an unstocked, 'Old School' mining village map (mine not included) for use with any Fantasy based RPG. 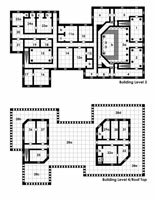 The PDF contains two maps - one with key numbers/building names and one without. The black corner bar is only on the cover image and not on the actual maps. 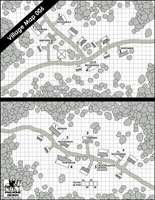 • Mar 5, 2014 - Paratime Design presents Village Maps #4 PDF for only $2.50 (US)! Need a village map for your game? 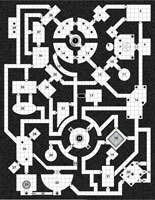 This map is an unstocked, 'Old School' walled village map for use with any Fantasy based RPG. The circular palisade has a raised platform for sentries/militia with access via ladders. The farmer fields extend beyond the scope of the map. 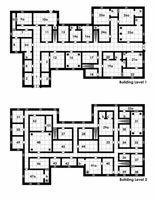 The PDF contains two maps - one with key numbers/building names and one without. The black corner bar is only on the cover image and not on the actual maps. 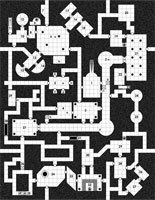 • Mar 5, 2014 - Updated the Black & White Dungeon Maps page with nine new Creative Commons licensed maps! 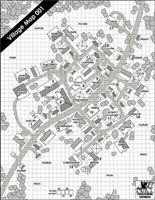 • Nov 14, 2013 - Paratime Design presents Village Maps #3 PDF for only $2.50! Need a village map for your game? 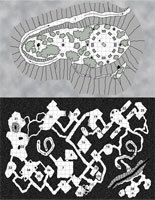 Here's a PDF with a fishing village map done in the 'Villlage of Hommlet' style. 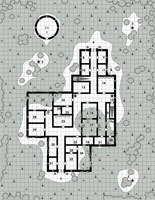 The PDF contains two maps - one with key numbers/building names and one without. The black corner bar is only on the cover image and not on the actual maps. 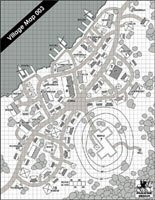 • Nov 6, 2013 - Paratime Design presents Village Maps #2 PDF for only $2.50! Need a village map for your game? 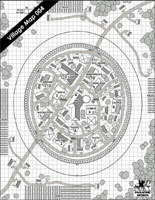 Here's a PDF with a village map done in the 'Villlage of Hommlet' style. The PDF contains two maps - one with key numbers/building names and one without (with the exception of fields/pasture notations). The black corner bar is only on the cover image and not on the actual maps. • Oct 17, 2013 - Paratime Design presents Stoneholm PDF for only $2.50! 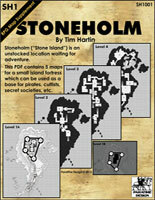 Stoneholm ("Stone Island") is an unstocked island location perfect for a pirate, cultist, secret society, or NPC base. 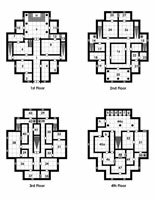 The PDF contains 5 maps with key numbers. 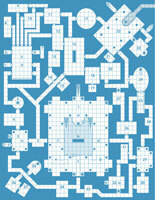 • Oct 13, 2013 - Paratime Design presents Dungeon Maps Compilation Vol 1 PDF for only $4.50! 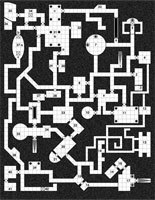 Sixteen individual dungeon maps for use with most fantasy based RPGs. 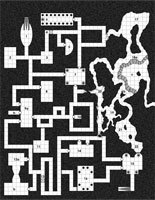 The maps are presented with and without room numbers which means there are 32 pages of dungeon goodness for your favourite RPG campaign. 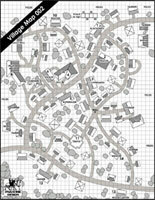 • Oct 11, 2013 - Paratime Design presents Village Maps #1 PDF for only $2.50! • August 15, 2013 - Updated the Map Portfolio page with five new map commissions! 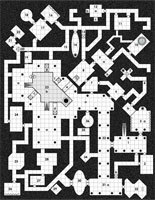 • June 8, 2013 - Updated the Creative Commons licensed Black & White Dungeon Maps page with eleven new maps and the Black & White Cavern Maps page with two new maps! 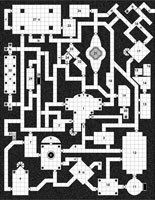 • April 8, 2013 - Updated the the Map Portfolio page with three map samples from the The Stealer of Children Labyrinth Lord™ adventure (designed for 3-6 characters of 1st level) by Small Niche Games. 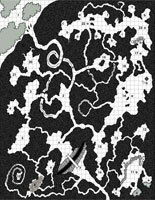 • October 19, 2012 - Updated the Black & White Dungeon Maps page with eight new Creative Commons licensed maps! 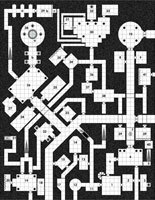 Also updated the Map Portfolio page with fourteen map samples from the Ghoul Keep and the Ghoul Lands Labyrinth Lord™ sandbox campaign mini-setting by Small Niche Games. 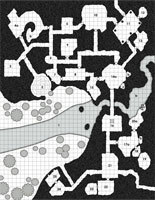 • June 12, 2012 - Updated the Old School Blue Dungeon Maps page with nine new Creative Commons licensed maps! 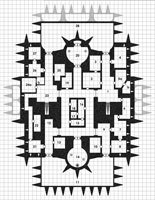 Added four new maps to the B&W Building Maps page. Also added the Acolyte Digital Battlemat Software url to the links page. 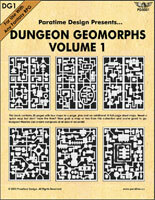 • March 5th, 2012 - Paratime Design presents Dungeon Geomorphs Vol 1 PDF for only $5.99 (US)! This book contains 20 pages with four maps to a page, plus an additional 10 pages of full-page sized maps. Need a quick map but don't have the time? Then grab a map or two from this collection and you're good to go. 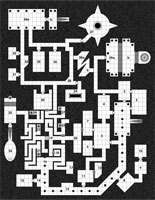 Dungeon Masters can create dungeons of all sizes in seconds! 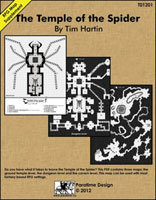 • Feb 3rd, 2012 - Paratime Design presents Temple of the Spider PDF for only $5.00 (US)! Do you have what it takes to brave the Temple of the Spider? 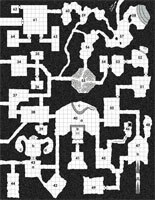 This PDF contains three maps: the ground/temple level, the dungeon level and the cavern level (located at the very bottom). Paratime Design Web Design © 2005-2018 Paratime Design.